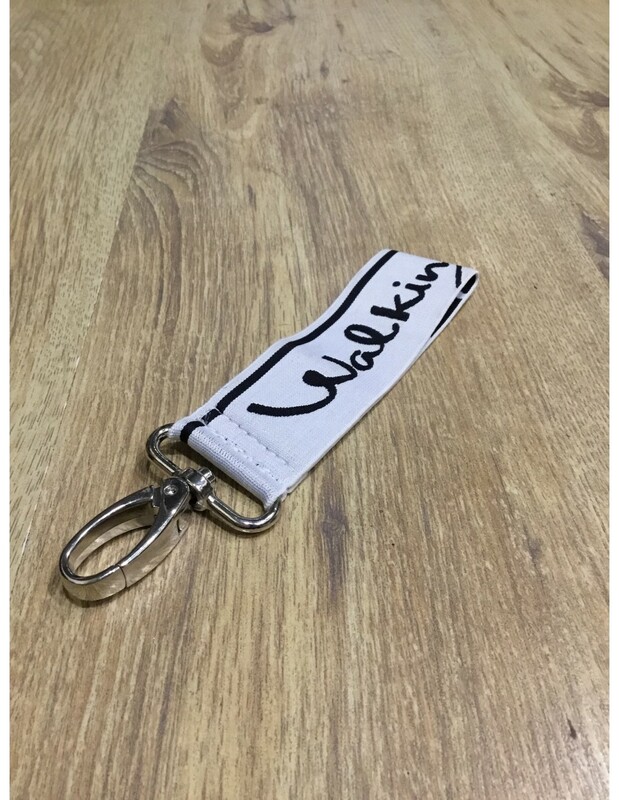 Multi-purpose white lanyard by Walking Jack. 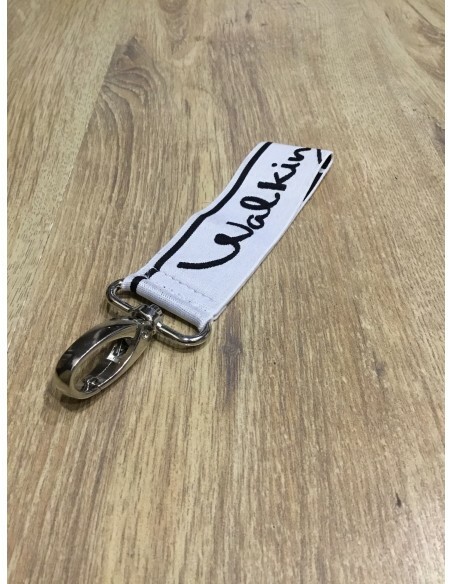 Perfect for hiking, the gym or your house keys. Made from top quality elasticated band and a strong belt loop carabiner. The size is perfect to wear around your wrist or attach it on your belt hoop or your bag. You can use it for your house keys, car keys or gym locker keys. A great looking key holder by Walking Jack you can use for hiking, the gym or to just put your house keys. 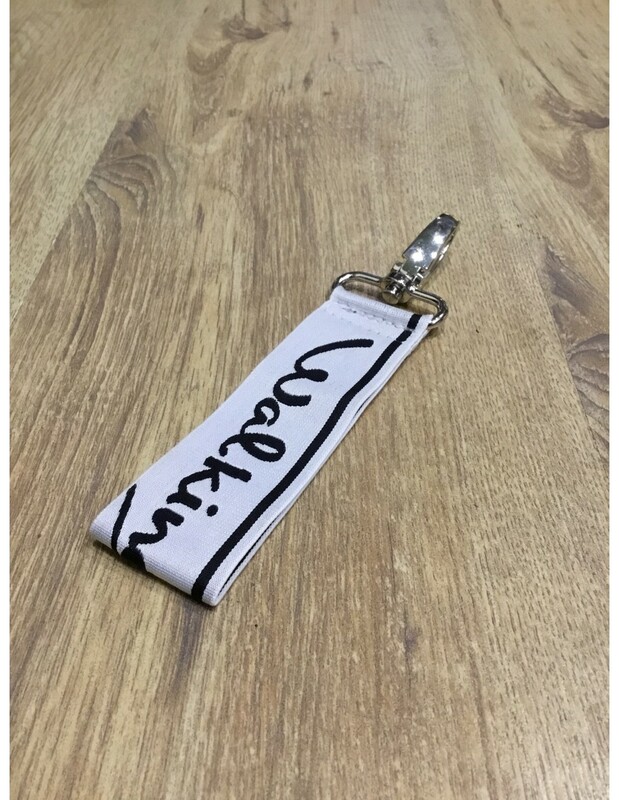 Made from a tough elasticated band, 4cm wide, sturdily stitched onto a metal carabiner belt loop. The band features the Walking Jack logo in black letters and it can be washed in cold water with mild detergent. It measures around 17cm long including the belt loop, 12 cm without. Do not iron. Made in Greece.